The Average Sales Price for all residential properties in San Mateo County increased from $1,496,000 in October to $1,635,000 in November. The Average Days to Sell increased from 17 to 22 and the Average Sale Price to List Price Ratio decreased slightly from 109% to 108% from October to November. In Santa Clara County, the Average Sales Price increased from $1,309,000 to $1,406,000 and the Average Days to Sell increased from 16 days in October to 19 days in November. The Average Sale Price to List Price Ratio remained the same at 108%. There have been many questions about the tax reform bills and how the final bill may affect the real estate market here in California so we thought it would be good to address what we know so far. The House and Senate have passed separate tax reform bills and now must reconcile them into one bill. Republicans in the House and Senate reached an agreement in principle on Wednesday and hope to have both chambers vote by Dec. 20. Assuming a final bill passes, it’s important to remember that the impact of any changes on your personal tax liability will depend on your specific circumstances. Additionally, the individual components of your taxes, including earned income, credits, deductions, and other factors, work together so each factor should not be assessed in isolation. That being said, in this newsletter we will only be addressing the parts of the bills that could specifically affect homeowners and the California real estate market. Both bills are proposing to eliminate or reduce itemized deductions, including limiting the property tax deduction to $10,000 and changing the deduction limit for mortgage interest. Currently, the limit for mortgage interest deduction is $1,000,000 and the Senate bill leaves it untouched. However, the House bill allows a deduction for mortgage interest only up to $500,000 on new home mortgages. There is expectation that there will be a middle ground compromise to allow a $750,000 limit. It’s difficult to say at this time exactly how the final tax bill will impact the real estate market since we don’t yet know what will be in the final bill. However, the property tax and mortgage interest deductions are just two of the items that could have an impact on the real estate market. Possible changes in capital gains and estate taxes may also affect the markets in California and the Bay Area in particular. If you are considering buying or selling a home in the future, we would recommend that you speak with an accountant or CPA to determine how any changes in the tax law would affect your tax liability. Also, our next seminar in early 2018 will be addressing the expected new tax bill. I’ll send you more details on the seminar once finalized, and hope you’ll be able to join us then. See you in 2018! 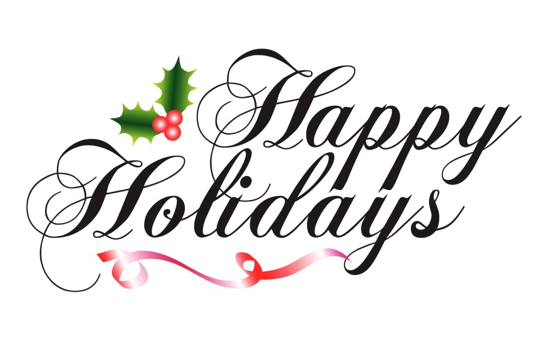 Happy Holidays from all of us at Perisson Real Estate! We wish you and your family a joyous and peaceful holiday season and happiness throughout the New Year.